Hello, my name is Sam and I am this year’s Graduate Trainee at the Bodleian History Faculty Library. In terms of background I graduated from Northumbria University with a History degree a couple of years ago. I am relatively new to librarianship. What experience I have is chiefly from the related area of special collections, so naturally starting off in such an environment as this is a bit daunting! But I am slowly getting to grips with it. 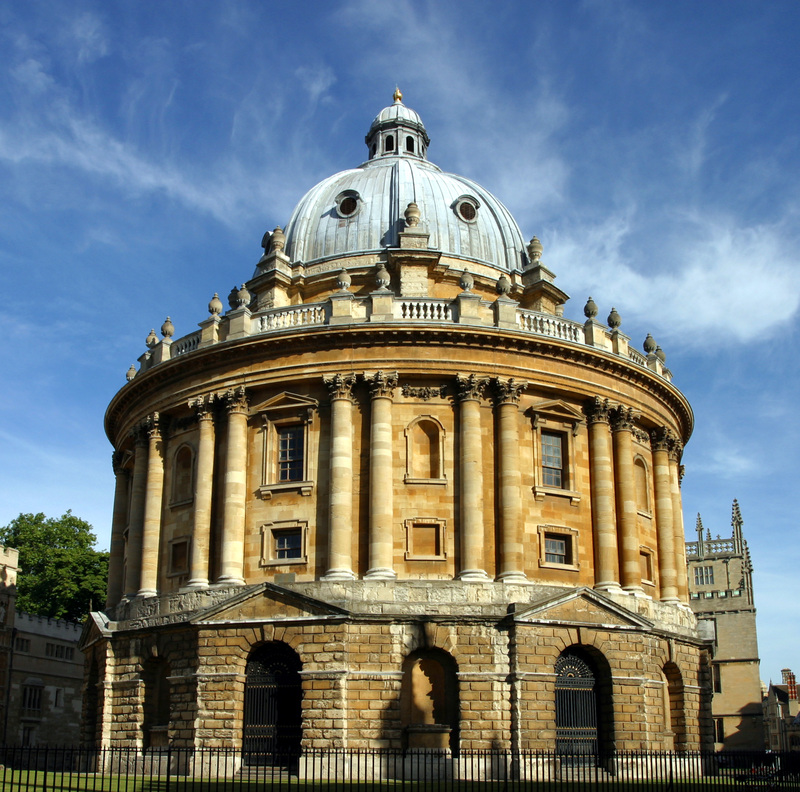 The library is based in the quite iconic Radcliffe Camera. The place is instantly recognisable, and one of the principle tourist attractions in Oxford. It holds an important place in the popular culture of Oxford, and I have seen it portrayed in everything from postcards to birthday cakes. Consequently the outside area is swarming with tourists on a day to day basis. To some this is quite annoying, but to me I do not mind it so long as they are respectful; after all it is nice that they take such an interest. It is certainly a unique aspect that comes from working here. The faculty is quite new to the building. Up until a few years ago it was housed elsewhere and the Camera was used for the holding of Bodleian reference collections. Now however three of our four floors possess at least some amount of HFL lending materials organised mostly according to Library of Congress. Generally both floors of the camera retain their feel as traditional silent reading rooms, while the more modern Gladstone Link below serves the role of a more social study space. Overall the library is quite large and possesses an enormous amount of resources; it’s quite something as a former history student to see the sheer scale of material on offer concerning almost exclusively the study of history. During the previous few weeks there has been a steady flow of readers frequenting the library. Being a faculty library our reader base is especially diverse, and includes Oxford academics, visiting academics and visiting students. However like other libraries we are now about to face the onset of term and mass arrival of Oxford students, who constitute the largest share of our users. In preparation for this a number of little projects are taking place, for example the production of induction booklets and giving of library tours this week. These are the kind of miscellaneous tasks that get thrown up from time to time here! 830 – 9- Time to open. I may be responsible for setting up the till, which means checking Z reports and maintaining the float. I may also be involved in opening up, which includes switching on lights and computers, checking signage is correct etc. 9- 11- Reception. One of the two front facing customer service desks, the other being circulation. Here I generally deal with enquiries of a generally less technical nature. Often things to do with university cards, opening times and tourist matters. Also I check the book returns box and carry out other odd jobs. 11.20- 1- Odds and ends. There is always shelving to do. I generally enjoy this, I like being able to wander about and roam around the stacks. The lower Gladstone link though remains a fascinating challenge with its various classification systems. Then I will collect books from the trolley and process them for return to Swindon, or perhaps look for missing books. 2-4- BSF delivery. Twice a day we get deliveries from the Book Storage Facility in Swindon. At this time I would assist the delivery team with the unloading of boxes. The material is then scanned into Aleph and made available to the relevant readers through the self-collect points. The numbers of boxes is steadily rising as term beckons. Most likely I will finish a little early and have time for other miscellaneous work. 4-5- Circulation. The other front facing desk. Here I generally deal with more technical library enquiries, often regarding things such as hold requests and renewals, and also help with searching the catalogue, locating material, and accessing IT equipment and resources.